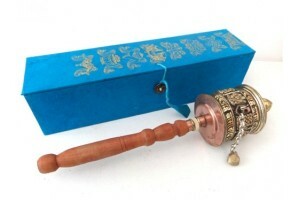 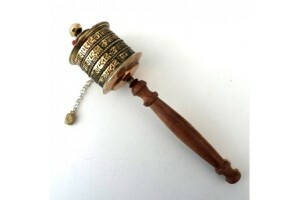 Copper and brass prayer wheel decorated with Astam.. 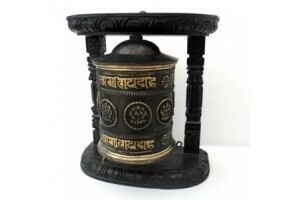 This fascinating prayer wheel is powered by a sola.. 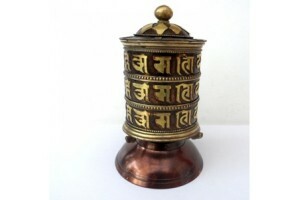 Desktop copper Prayer Wheel with Om Mani mantra le..
25cm Prayer wheel made of copper with brass letter..
Brass wall mounted prayer wheel. 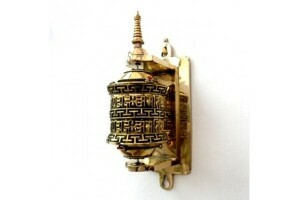 Overall height 19.. 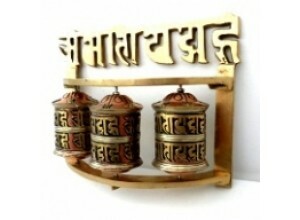 Antique effect copper and brass wall mounted praye..